Curriculum displays all the units, lessons and assignments teachers have saved and published for their students. Clicking on a unit, lesson or assignment on the left opens that content on the right. For teachers that do not publish units or lessons, this view will only contain a list of assignments. Instructional Plan (for your eyes only). Notice that in the Classroom, only the Classroom Display is showing. This tab can also contain assignments. Assignments are published per course, and everything in a published assignment is visible to students. 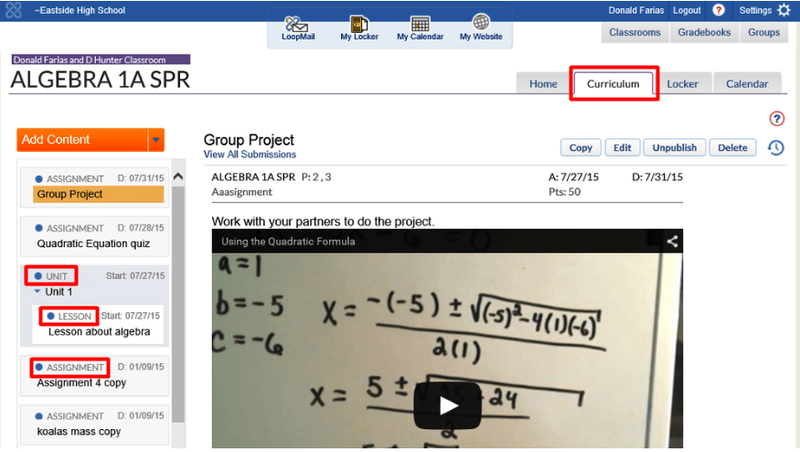 Students can see the assignments and due dates, points and any links or attachments for the assignment.